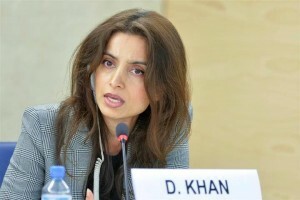 Renowned documentary filmmaker and founder of FUUSE, Deeyah Khan, became the first UNESCO Goodwill Ambassador for artistic freedom and creativity in 2016. Two of Khan’s documentaries on violent extremism were nominated for the prestigious British BAFTA awards, Jihad in which she spoke to radicalised British Muslims who had fought in the name of jihad, and White Right: Meeting the Enemy where she spoke with white supremacists, racists and the proponents of the “alt-right” ideologies. 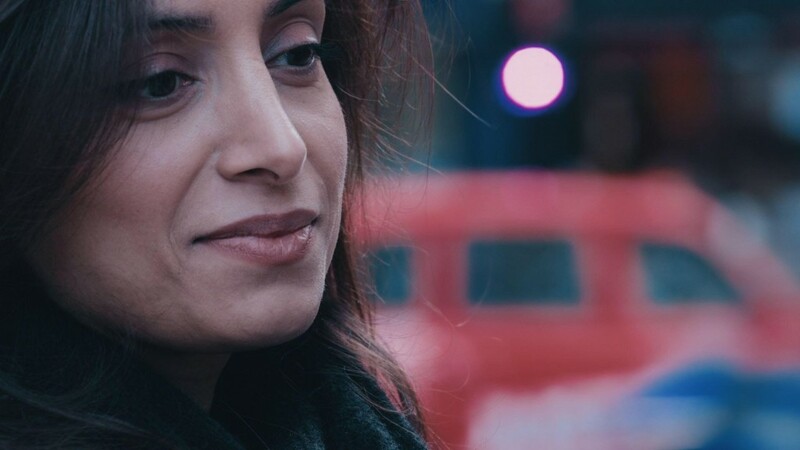 Deeyah Khan has won many awards and is recognized by both the entertainment industry as well as on the human rights and peacebuilding scene. 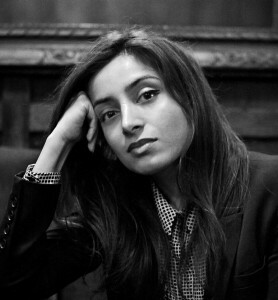 Khan also founded Sisterhood online magazine, where she gives space to the voices of women with Muslim heritage to speak out about their experiences. Born in Norway to Pakistani-Afghani parents, Khan’s artistic vision was shaped by being multi-cultural with all the challenges and opportunities that entails. Here she speaks to Rana Allam about her vision and what she’s learned about extremism by confronting it face-to-face. Since you were a child, you have been the target of harassment from both Muslim extremists and white supremacists. Can you tell us about that? It’s my belief that if you’re getting harassed by extremists on all sides you must be doing something right! When I was younger, it really hurt me to be harassed and threatened by members of my parents’ community and being the target of racist abuse in the country that I grew up in. I believed that being a child growing up between cultures was a blessing, because of the unique vantage point it provided me with: the ability to relate to and understand people from different cultures and backgrounds and to feel a part of all of these worlds. As I got older and experienced harassment and abuse from both sides I started feeling like being between cultures was more like a curse. It became a source of pain for me during that time. With the years I have learned that, for me, this space of discomfort and sorrow is the place that creativity and artistic expression comes from. Being forced to leave my country and my family at the age of 17 was a major disruption to my life, to my emotional wellbeing, and to my family. After the long process of healing, it ultimately strengthened my resolve. I decided to actively confront my fears. Two of my films have addressed these issues: understanding these people as humans, without excusing the tremendous social harm they cause to our society. I understand being passionate about politics. I’m passionate myself about feminism and freedom of expression, but I would never use violent or abusive methods to share those ideas. However all too often we see people threatened, harassed and persecuted into silence. It shouldn’t be this hard to talk about these problems. If we could find a way to prevent racial and sexist harassment then we would hear from a lot more people with very valuable things to say, who are now unwilling to speak because they don’t want to deal with the unbearable repercussions. The number of people who have been bullied and threatened into silence, or who are too fearful to even raise their voice is incalculable. It’s a great loss to all of us. Why film? Why go behind the camera? Whenever I see a problem, my first response is that I want to understand it. It has always felt natural to me to try to understand human problems through dialogue. The interview format was a natural way to do that. I chose to direct films because I find that’s the way I can best explore the topics that interest me in the way that feels most personal and direct. And it’s this direct human contact that’s really been the heart of every documentary I’ve made. In all my years working within the arts and creative professions my favourite part was the creative process. I was never a natural performer; I hated being in front of the camera and on stage. When I finally decided I wanted to tackle topics that I care deeply about through a creative medium, I decided it would be through the form of documentary filmmaking. I wanted the creative freedom to be behind the camera instead of in front of it. 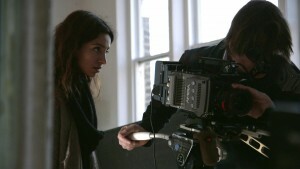 I chose filmmaking because stories are the most intimate ways we get to connect with the experiences of people different from ourselves, people with different lives, environments and experiences. Stories are conducive of empathy: stories have the capacity to create possibilities to find ourselves recognizing ourselves in someone else’s experience — a way to see ourselves in each other. I look for that possibility. This is why I make films. Why did you decide to do “Jihad” and then what motivates you to focus on the white right? Jihad was my second film. It was made after my first ‘Banaz: A love story’ succeeded beyond any of my expectations. I felt that as a woman who had grown up in a Muslim community, but within a Western society, in making ‘Jihad’, I wanted to understand why young Muslims who had grown up like me would want to go to battlefields in countries with political and social circumstances very different from theirs. I wanted to understand why young people born and raised in the West would become involved in Jihad. I was very unsatisfied by the coverage I saw in the press. I wasn’t getting answers to the questions that interested me most. I never saw the kind of explanation that rang true to me, with my own experiences of living in Muslim families, in Muslim communities, and in experiencing prejudice and violence at first hand. Extremism was – and still is – the biggest issue that was associated with Muslims at the time I filmed Jihad. I wanted to bring a different perspective into a public discussion which at that time didn’t really look to the human causes of radicalisation. There was a sense of focusing very narrowly on political and historical factors, which are important, but I wanted to delve into the personal, psychological and emotional aspects of why some people are drawn into these movements. I was hearing about British and US policy, and about Palestine and the history of colonialism and so forth. I have seen at first-hand the sufferings of Palestine, and I disagree with a great deal of Western foreign policy myself, and I’m aware of the devastating effects of colonialism. But I’ve never picked up a gun. I was hearing that Islam was an inherently violent religion. But I am a Muslim and so are 1.7 billion other people in this world and only the tiniest minority are violent – and plenty of non-Muslims are violent too. There are factors far more human and personal than politics, religion or history that drive people to choose violence as expression. During the production and filming of “Meeting the Enemy” you met White extremist and in making “Jihad: A Story of the Others”, you met Muslim extremist. What are the similarities? And differences? There are differences of course: in terms of their beliefs, in the way they organize themselves, in their cultural backgrounds, in the ways they recruit and in the ways they talk about themselves. But at a psychological level, they are far more alike than different: they are both organisations that nurture a sense of injustice, which is often inflated way beyond reality. They see themselves as brave warriors opposing a monstrous enemy. Life is seen in very black-and-white terms. There are only heroes and villains; us-and-them. There’s a sense of intense loyalty to the in-group that starts out feeling very positive – a way of gaining human connections and status, often for people who are lacking in both. The same group can turn vicious when anyone questions its values. So there’s a strong tendency for people to conform to the group and to compete through enforcing groupthink and criticizing any departure from orthodoxy. They’re like cults in that they’re prone to group-think, and they attract lost, vulnerable and damaged people. And they’re overwhelmingly male. If there are women in these organisations they are few and far between and their roles are secondary. These organisations are particularly appealing to men who have a sense of lost masculinity: of not living up to the ideals that they associate with being a man. You can see this in Asian males who are dealing with the expectations in their own communities to follow the traditional route into manhood through work and arranged marriage. But they are finding that in the West that’s not as straightforward as it was for their parents, for many reasons ranging from racism to a different understanding of relationships in younger generations. You can see this in white men, who feel like they should have a secure blue-collar job and a settled life when the economy is very different from their fathers. So there’s a sense of failing to meet the standards of being a ‘real man’ – and for looking for someone to blame for that. We need to build new ways of being a man that don’t have their foundations in being dominant and violent – just as much as we need to challenge stereotypes of women as submissive and passive. You are Norwegian but also Afghan & Pakistani & now a UK resident – and of course a woman. How do you define your own identity? I’m a citizen of the world. I am an artist. I don’t really define myself as any nationality, but as a person who’s lucky enough to have had a wide variety of cultures to draw upon, learn from and be inspired by. Like Virginia Woolf said, ‘As a woman, I have no country. As a woman, my country is the world.’ As a feminist I feel part of the community of women everywhere who are struggling with gendered expectations, with male violence, and with the legacies of hundreds of years of male oppression. You are a second generation immigrant, did you have a hard time with the feeling of belonging to your old home or your new home? How has that affected you? It did at first find it difficult to see where I fitted in, I struggled with this on and off for many years. It felt like there was a script for being an Asian woman, and a script for being a Western woman. These scripts were written by other people -not me and I had to choose between them. There were different sets of expectations – of being a ‘good’ Muslim, of being the ‘right kind’ of immigrant, fitting into what others wanted me to be. I spent many years trying to meet the expectations of other people. In the end it was easier and liberating, to write my own script, and to set my own expectations for myself. I really can say I found my authentic self through stopping trying to fit in to these identities. It’s not about choosing between my ‘old home’, or my ‘new home’: it’s about treasuring everything I value, whether it’s new and old, or whether it comes from this culture or that. In your opinion, how do you see the role of identity and belonging, driving extremism? Does this apply to white extremism too? There’s a particular way in which identity is understood within extremist movements, irrespective of whether it’s the white extremists, or jihadists. We, all of us, have an identity that’s made up of various different aspects. I am a woman, I am South Asian, I am Muslim, I am a feminist, I am a filmmaker, I am an artist, I am Norwegian and, above all, I am a human being. All of these are parts of me. These are all perspectives that inform how I understand my world. But for extremists, they choose one identity – a narrow, singular identity – and allow it to become more important than all the others. They only try to understand the world only in terms of a single aspect of their identity. Everything they experience is tied to being a Muslim, or to being white. And that means they’re only ever responding to the world from one position. They’re losing the ability to relate to people who don’t share that single characteristic, and cutting off their links to the rest of humanity. The sense of belonging which hinges upon identity also fulfills emotional needs for people who feel themselves to be outsiders. There’s a sense in which there are people who are just looking to belong to something. They want the sense of being part of a tight-knit and supportive group, with a shared purpose and friendship. It’s intoxicating, especially for people who’ve never found their place in the world before. Before they felt they were nobodies: now they have an identity, a group of comrades, and people fear and respect them. Do you think being a woman- a feminist has informed how you address issues of extremism? How/Why? Absolutely. My feminism informed my understanding in at least two ways. Firstly, it allowed me to put the complaints of extremists into a proper perspective. When a man gives me a litany of complaints about discrimination against the group he identifies with, I remember that I belong to a category of humans that have been treated as men’s sexual and reproductive property since the beginning of civilization. Women’s rights activists do not use organised violence to redress these injustices. Women’s rights activists have campaigned on the strength of their moral arguments. So when I hear them trying to justify violence with injustice, I remember that the vast majority of women’s campaigning, from suffrage to reproductive rights has been peaceful, and that change can be achieved without violence. Secondly, I realize that there’s a need to talk about masculinity: about all the expectations that are piled upon men. We have models of masculinity –as tough, as dominant, as successful, as a provider, as the head of a household, and so forth – that not every man can achieve in the world today. And for some men, their inability to achieve this stereotype leads to feelings of emasculation that gets redirected into blaming someone else, whether it’s blamed on the kaffir or Jews. We have to begin to unpick male socialization, of the straightjacket placed upon boys as they grow into men which restricts their emotional growth and their empathy for others. When women refuse to be limited by gender stereotypes, then they’re treated as pioneers. I want the same kind of respect for men who refuse to use violence, who refuse to dominate others. We need to build new ways of being a man that don’t have their foundations in being dominant and violent – just as much as we need to challenge stereotypes of women as submissive and passive. When exactly did you decide to focus your talents on the promotion of peace, human rights, and fight back against extremism? What made you do this, the final straw? This has been my earliest passion. I grew up in a liberal family and some of my earliest political memories were hearing debates around Zia al-Haq in my parents’ home. Although at first I channeled my expression into music, this was honestly reflected my father’s ambition more than my own. In a way, the fact that I was forced out of my musical career gave me a chance to stop, to breathe, and to consider what I wanted to do with my life for myself. Young people who knew me from my musical career started contacting me – they understood my situation because they were dealing with similar problems, with ‘honour’, with the heavy expectations of immigrant parents and the cultural differences between their communities and the wider society. I felt I had to do something, to understand it, and to explain it to others. That’s when I first picked up a camera and made my first documentary Banaz: A love story. Although I have been passionate about the promotion of peace and human rights most of my life it’s finally when I picked up a camera I found the instrument for the social change I want to see. Through sister-hood, you have elevated the voices of women writers and artists with Muslim heritage from across the globe. Have you seen a pattern, a specific behaviour, or belief that links them all together? Sister-hood’s mission is to show the diversity of a group that’s too often stereotyped in media. It aims to show the diversity within this women of Muslim heritage, from the most vehement ex-Muslims to those working within religious frameworks to raise women’s status in Islam. So we weren’t looking to find a pattern: we were looking to disrupt these patterns by which Muslim women were too often judged and fitted into, to show that there’s a tremendous diversity of experiences, understandings and ideas. The only commonality is that there does seem to be a sense of sisterhood: whether secular or devout, I’m happy to say that there’s a genuine spirit of solidarity and mutual support between our contributors. This is particularly apparent when we hold meetings and see women sharing their experiences of dealing with patriarchy and racism and hostility to Muslims and other issues that affect them. I want the world to know that while they are looking for solutions to security problems, there are women who have ideas about what needs to be done, and are the most committed to ending the violence that threatens them and their families. You are a multicultural woman, has this helped your work? Was it ever a hindrance? It’s provided me with the ability to see from multiple perspectives and to draw on multiple sources of knowledge. It’s only a hindrance in the sense way women like me are constantly reduced to stereotypes. Refusing to fit into existing boxes has been a hard but worthy battle to challenge these stereotypes. I stopped asking and waiting for permission to be let in to positions of influence. I realized I had to start from scratch and create things for myself. There is much focus on sexism these days a – Do you think or see any form of implicit or explicit racism in the spaces you engage? From men or women? What does it look like? Sexism and racism are everywhere, at every level. I am lucky enough to be insulated a little at this point in my career compared to what it would be like for a young brown woman looking for their first media job. Over the years I’ve been able to build networks which support me. But still, there’s often sexist assumptions made about me. When I’m out filming with my co-worker who’s a white guy, the assumption is often that he’s the Director and I’m a presenter that’s been hired on the basis of my looks, or to tick diversity boxes. I find this really frustrating since I have creative and financial responsibility for my projects. But I do believe things have improved over my career, and a lot of this is due to pioneering women and men from ethnic minorities who have been pushing down those barriers one by one. What do you see in the WASL alliance? What do you hope WASL will achieve? What do you want the world to know about WASL? I think WASL has the potential to change the way we think about working for security and to bring the possibility of peace closer. I want the world to know that while they are looking for solutions to security problems, in every city, every town and every village in the world, there are women who have ideas about what needs to be done, who have intimate knowledge of the community and culture, and who are the most committed to ending the violence that threatens them and their families. You’ve agreed to join the ICAN board? Why? I think ICAN’s work is important. I believe in the leadership and vision of Sanam Naraghi-Anderlini. 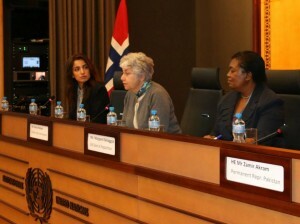 I know how valuable women’s voices are, and the fact that they are so often excluded from the most important processes of building peace and preventing further conflict is a tragic waste of their potential. I hope to be able to raise awareness of ICAN’s work and the value of involving women at all levels of politics.